Tour may be sold out! before sending a deposit. 800-299-CELT. Best of the West! Join us on a exciting sojourn along the west coast of Ireland from majestic Achill Island to the spectacular Cliffs of Moher. Fiddler ROSE CLANCY joins Robbie as special guest musician for this tour of Ireland’s West coast. Reserve your spot—download the 2019 Celtica Reservation Form and send it in with your deposit. Experience the breathtaking natural beauty and off-the-beaten-track sites, hand-picked by Robbie. From the breathtaking vistas of the Achill Island and Doolough Lake… The world renowned landscape of the Connemara… a boat trip to Inishmore, the largest of the Aran Islands, with its spectacular clifftop fortress Dun Aengus… the panoramic views of Sky Drive… the scenic beauty of Kylemore Abbey… the historic streets of medieval Galway… the iconic dolmen at Poulnabrone.. and the majestic Cliffs of Moher, your heart will be filled the the authentic sights and sounds of the Irish coastline. Explore fascinating and scenic sites and enjoy the excellent cuisine and comfort of Ireland’s best 4 star hotels as well as unforgettable nightly traditional music sessions as we traverse the Best around the west of Ireland. 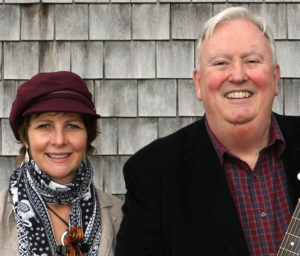 Read what the Cape Cod Times has to say about our tours! Baggage handling, gratuities and taxes for hotels and included meals. NOTICE: Passengers are responsible for all airfares, departure taxes and airline surcharges. All passengers should meet outside customs in the Arrivals Hall in Shannon airport no later than 7.00 a.m. on the morning of June 9, 2019. Keep in mind that this is an overnight flight—you arrive in Ireland the day after you leave the US. We are happy to assist you with your flight arrangements and any pre-tour or post-tour accommodations at no extra charge. If you prefer to fly a day early to alleviate jet lag, we can make a reservation for you at the Park Inn at Shannon airport for June 8. An overnight flight takes us to Shannon where Robbie and his sister Alice meet us outside the customs hall. Our group gathers at Shannon airport where, following a traditional Irish breakfast at the Park Inn, we board our comfortable motor coach for a scenic drive through Connemara. With a couple of coffee stops along the way, we head for our hotel in Mulranny, County Mayo, overlooking the broad expanse of Clew Bay. At the hotel, we have the rest of the day to explore the greenway, walk the breakwater, relax in the Spa, or simply get over jet lag. After dinner we have the first of our nightly music sessions and a chance to get to know one another. We cross the bridge at Achill Sound to spend the day on a leisurely tour of remote Achill Island with its breathtaking panoramic views and spectacular seascapes. 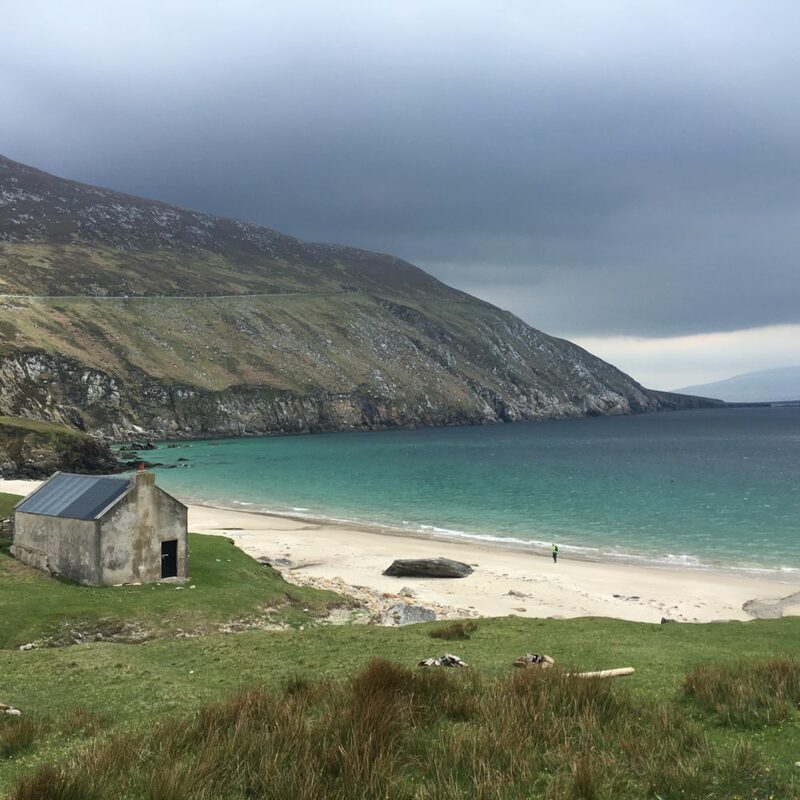 We take the Atlantic drive to the 15th century tower house of Ireland’s famed pirate queen, Granuaile in Kildavnet and stroll on the beach at beautiful Keem Bay. Following lunch at the Beehive Craft Shop and Restaurant we visit the Deserted Village and the Achill Heritage Center. We begin the day in Turlough at The National Museum of Ireland – Country Life where we experience the traditional ways of the Irish people through the ages. 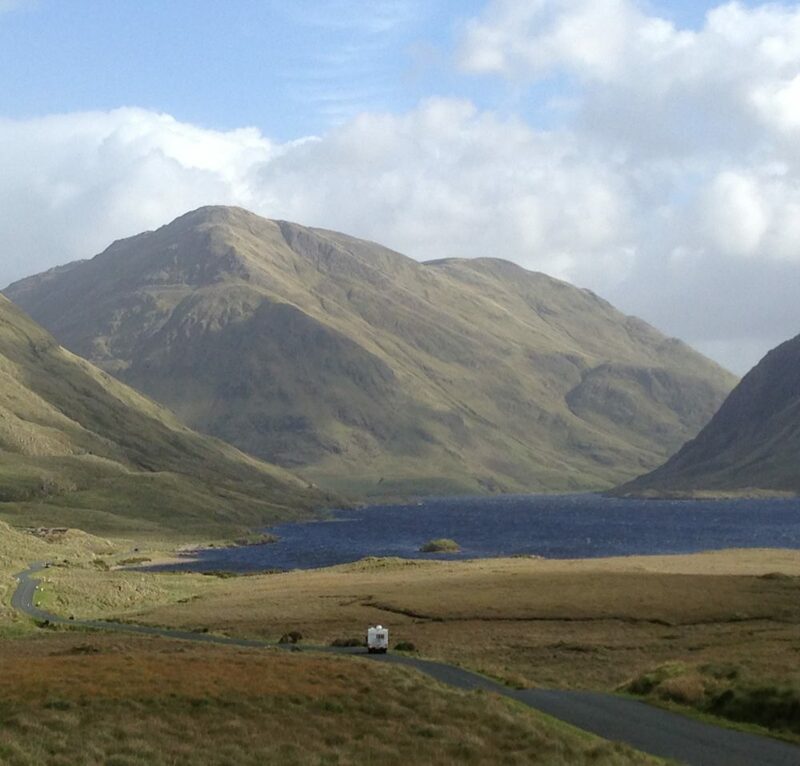 After lunch in the bustling town of Westport we follow the scenic route around Croagh Patrick stopping at Doolough Lake and Ashleagh Falls to the picturesque village of Leenane. Then it’s on to the former home of writer Oliver St. John Gogarty, Renvyle House Hotel, renowned for its award winning chef. 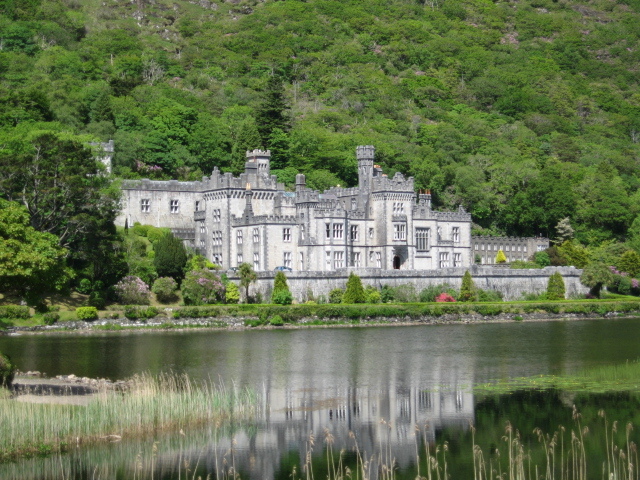 Kylemore Abbey with its pristine lake, Victorian walled garden and magnificent neo-Gothic church, begins our day. The awe inspiring Sky Drive takes us to the thriving market town of Clifden for lunch. Then it’s on to Oughterard and Aughnanure Castle, a well preserved 16th century fortress, on the way to our hotel in Salthill, Galway. From Rossaveel we board the large comfortable ferry for Inishmore, the biggest of the three Aran Islands. 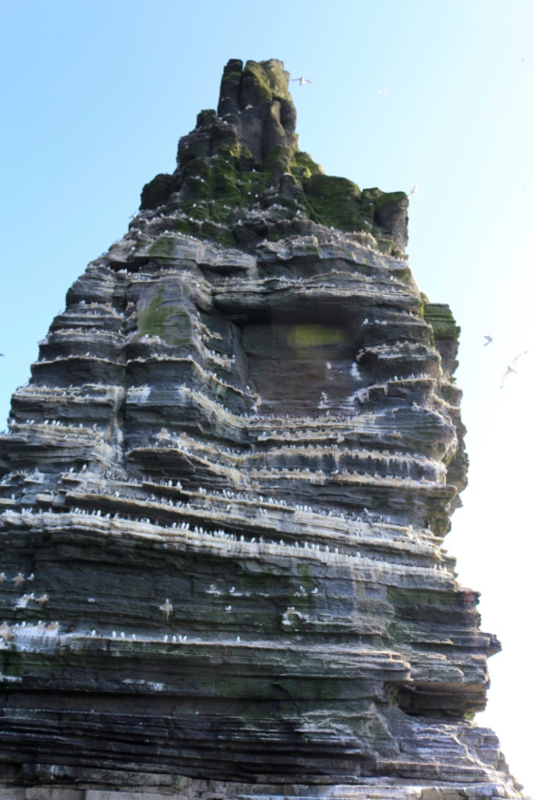 There we tour the island by minibus with a local guide and visit the Seven Churches and the magnificent prehistoric fortress of Dun Aengus perched precariously on a cliff top high above the crashing Atlantic waves. 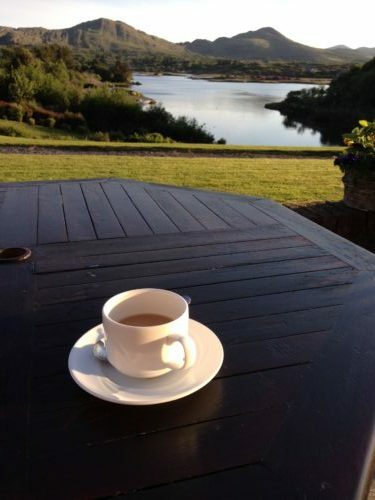 It is always a special day in the unique atmosphere of these historic islands where Irish is still the first language. We have a free morning in Galway city to explore the narrow medieval streets and traditional pubs and shops of the City of Tribes. After lunch in Galway, we travel to County Clare where we visit it’s the wonderful Clare County Museum in Ennis before continuing on to our hotel on in Spanish Point. We take the beautiful Black Head Drive into the Burren where we visit the Ailwee Caves and see a Birds of Prey demonstration. 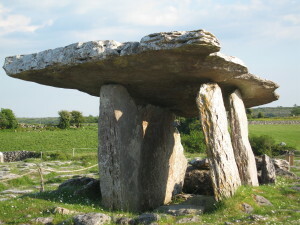 Then it’s on to Poulnabrone, the iconic dolmen in the heart of the Burren. This Neolithic portal tomb dates back to around 3,800 BC. We stop for lunch at Caherconnell Stone Fort and an always entertaining sheep dog demonstration. 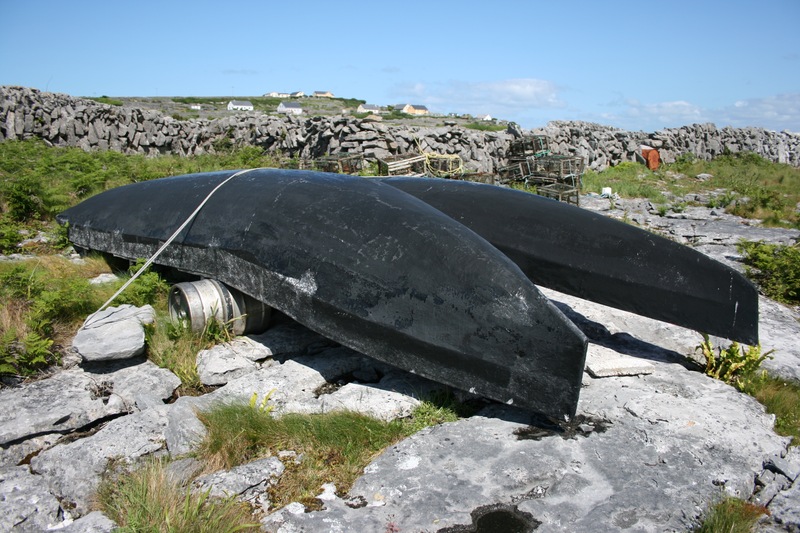 We finish our sojourn in the Burren at the village of Kilfenora where we see its famous carved stone crosses. The unique Rock Shop in Liscannor will our first stop for the day before we take a boat from Doolin to see famed the Cliffs of Moher, rising majestically 800 feet above the relentless Atlantic waves. We avoid the crowds and get a unique perspective on Ireland’s number one tourist attraction. We lunch in Doolin at the renowned Gus O’Connor’s Pub and wander around the craft and music shops. In the afternoon we visit St. Bridget’s Well in Liscannor. 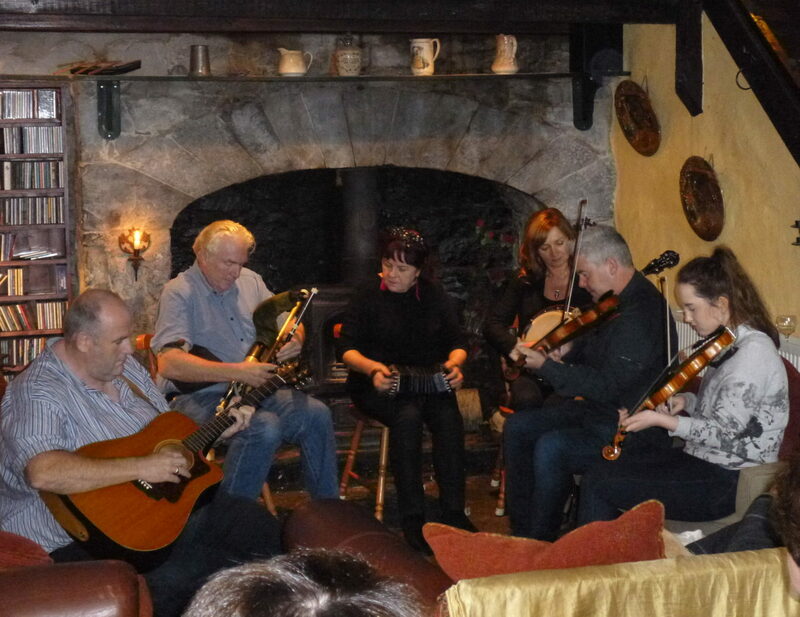 Then it’s on to our hotel in Ennis for the last of our nightly music sessions. We depart our hotel for Shannon Airport with time to spare for some last minute shopping at the airport Duty Free shop. Don’t want to go home? If you would like to extend your stay, we are happy to assist you with advice and arrangements. Contact Robbie O’Connell at 1-800-299-CELT or email: robbie@celtica.com before you send in your registration form. Working on the 2018 Tour – Save the Dates! scott and karen jackson on Working on the 2018 Tour – Save the Dates!